Do you know how the brownie came about? I’ve made a lot of brownies (who hasn’t? ), but after making this latest batch, I was curious. Go go Google. Here’s some Food History 101. For the Chicago (Illinois, USA) 1893 World Fair, a woman by the name of Bertha Palmer requested a dessert for the ladies in attendance of the Fair. She wanted someting that was cake-like but smaller in size. A chef at Chicago’s Palmer House Hotel created what we all know now as a brownie. Since then a million bazillion brownie recipes have been invented. (Yes, I counted. 😉 ) They can be fudgy or cakey. They may include nuts, marshmallows or almost any imaginable other goodies. They could be topped with frosting, peanut butter, whipped cream, or nothing at all. They may be gluten-free. They may be made with black beans. They may be made with Greek yogurt, apple sauce, or other creative ingredients in an attempt to reduce the fat or sugar content. They may be made with whole wheat flour. I think you get the idea. What makes this recipe different than all the rest? Maybe not a whole heck of a lot. After all, with all the variations out there, at the end of the day a brownie is still a brownie. This particular recipe captured my attention because it’s a simple way to “healthify” a traditional fudgy brownie and it still used everyday ingredients. Grease an 8 x 8 inch baking pan and set it aside. 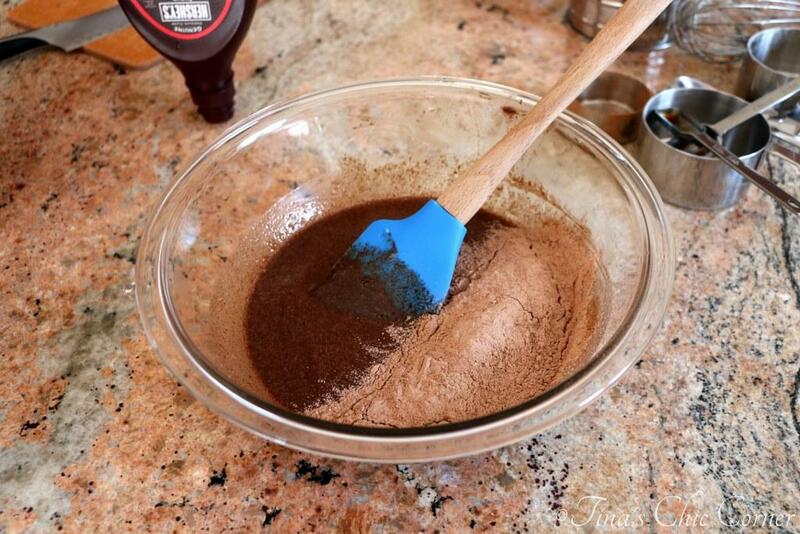 In a large bowl, whisk together the flour, sifted cocoa powder, baking powder, and salt. Set the dry ingredients aside. In a small bowl, melt the bittersweet chocolate and butter together in the microwave, in 30 second increments, stirring in between sessions. Set aside the chocolate mixture and let it cool slightly. In a large bowl, whisk together the sugar, yogurt, chocolate syrup, egg, egg white, and vanilla extract. Fold the dry ingredients into the wet ingredients in three batches with a spatula until just incorporated. Be careful not to over mix. Pour the batter into the prepared baking pan and bake it for about 20 minutes or until a tester inserted comes out clean. What’s the secret to making healthier brownies? With this recipe, it’s merely a matter of reducing the amount of sugar, chocolate, and eggs. Yup, it’s that easy. There are no weird substitute ingredients to speak of here. I don’t consider Greek yogurt a weird ingredient because I have it in the house all the time, so hopefully you don’t either. 😉 It’s a great ingredient to use in baked goodies to help reduce the fat and keep them moist. Baking Tip: I always sift cocoa powder because it’s really the only way to guarantee that you won’t end up with lumps of cocoa powder in your goodie. 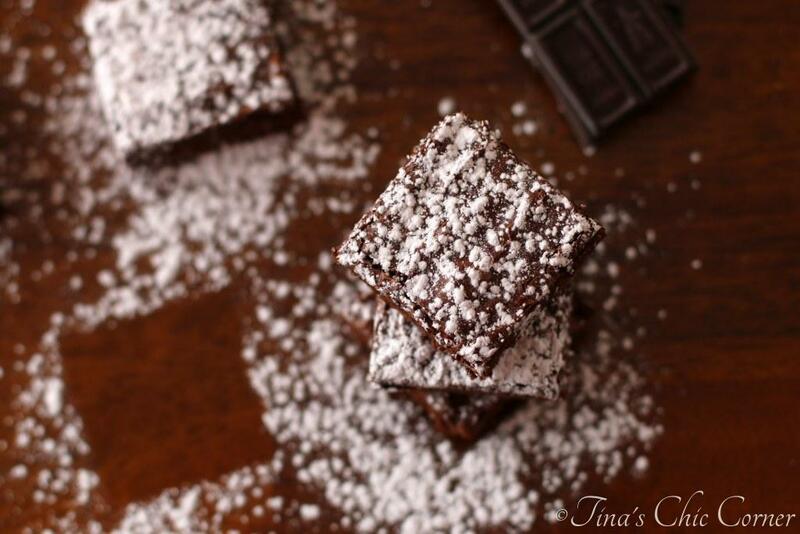 Even though these brownies are light, they are still incredibly rich and chocolaty. Bittersweet chocolate contains more cocoa than semi-sweet chocolate, which means that you can use less of the bittersweet stuff and still have loads of chocolaty goodness going on. Bittersweet chocolate also contains less sugar. Sounds like a win win for light baking. Look at these beauts. They are part fudgy and part cake-like. Have I mentioned that you can whip these up in about 30 minutes? Rock on. “Healthy” brownies (well for brownies anyway) and they are quick too! If I had to pick which brownie recipe I prefer, this light one or my Fudgy Brownies, then I’d pick the real deal fudgy brownies because those are more rich and dense. (My husband agrees.) However, I will say that I can’t tell that these brownies are low in fact, calories, and cholesterol. If you are looking to “have your chocolate and diet too” then these brownies are the bomb digity. I can only say so many times that these brownies are light so how about a little bit of statistics to back it up? Here’s a side by side comparison of the main ingredients between my favorite Fudgy Brownies and this recipe. The facts say it all. * All reductions shown are just for that ingredient, not the complete recipe. For example, using less egg reduces the cholesterol from the egg, but has no relation to cholesterol from the butter. I prefer a middle piece brownie and I love it with a cold glass of milk. 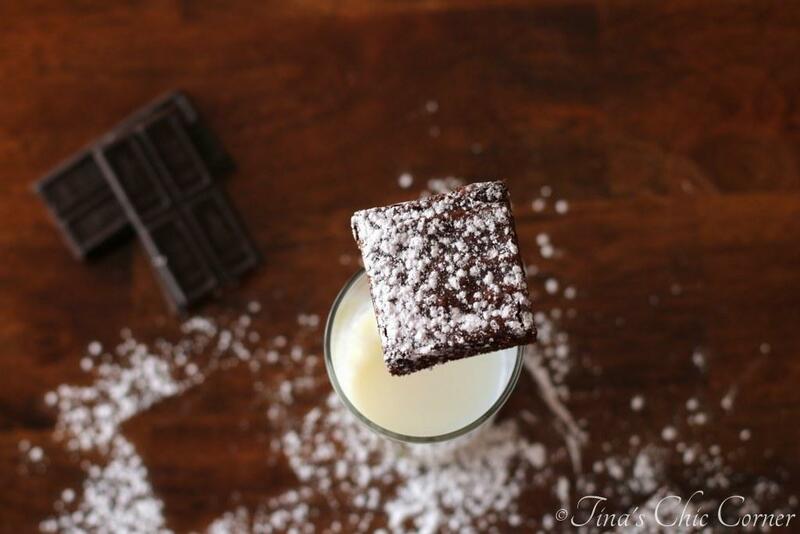 What’s your favorite way to gobble up a brownie? Here are some other great light recipes. 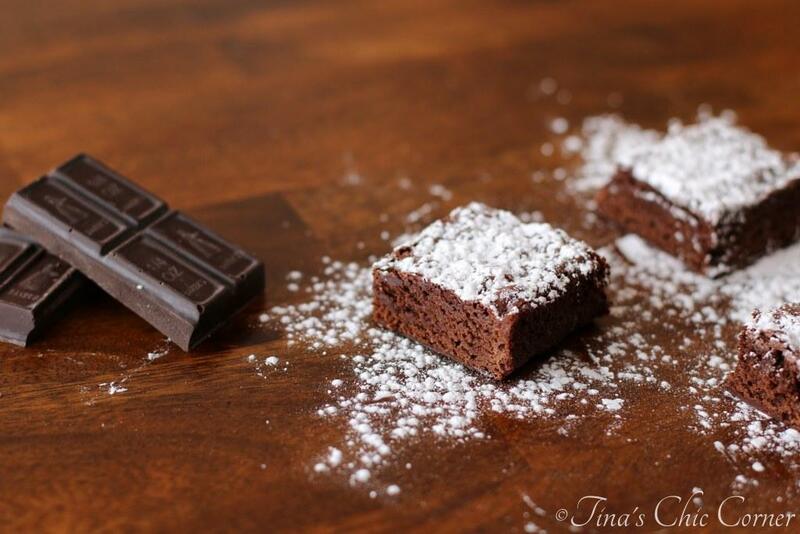 LOVE these- brownies are my favourite dessert! Fudgy brownies are the best. These look so moist and delish! Interesting trivia about the brownie! I’ve heard that they can be made from black beans, but I’ve never tried it myself. Regardless of what they’re made with, I think fudgy brownies are the best! I love a good brownie! 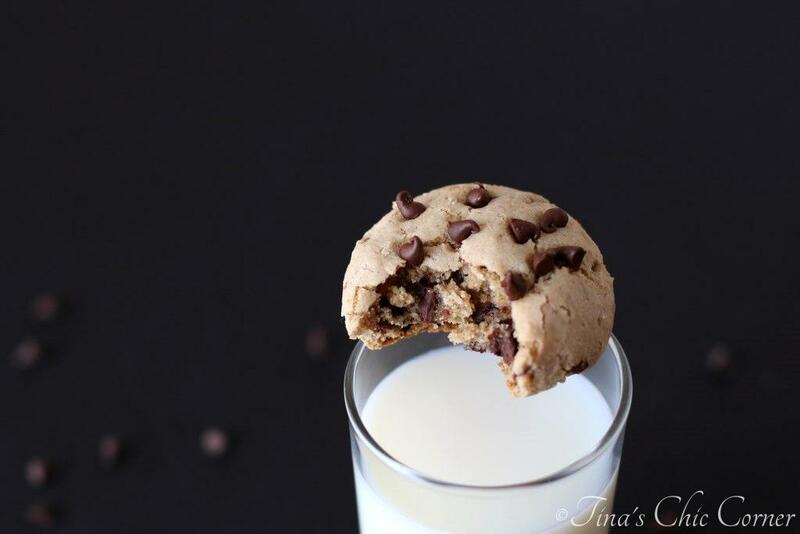 Thanks for sharing your recipe, Tina…looks delish! I’m a middle piece brownie girl, too! And I love that these are skinny without some weird ingredient (espcially since there are one gazillion recipes out there! I counted, too 😉 These look so good, Tina, and so rich and fudgy!! 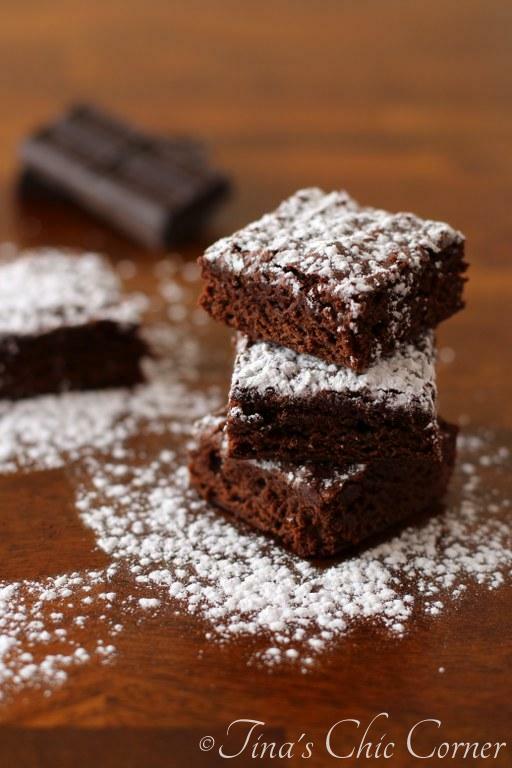 Interesting history about brownies! 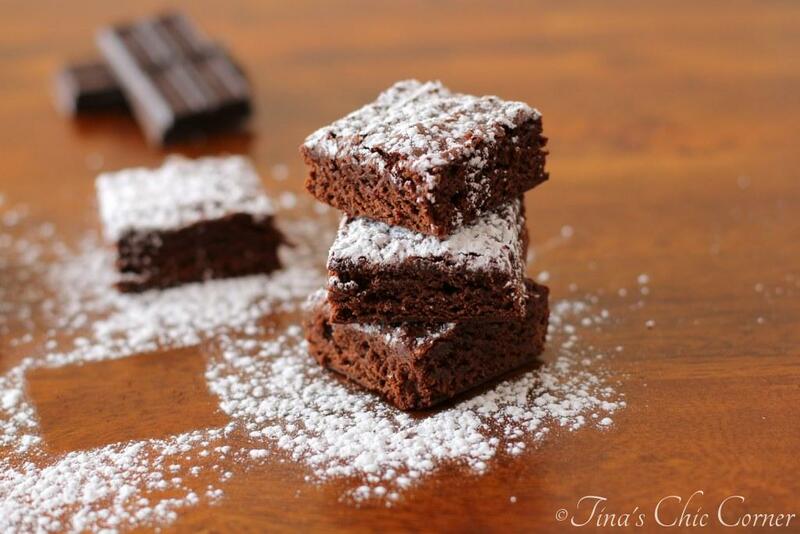 I adore brownies – they are really one of my favorite desserts. I love that you lightened them up a bit! 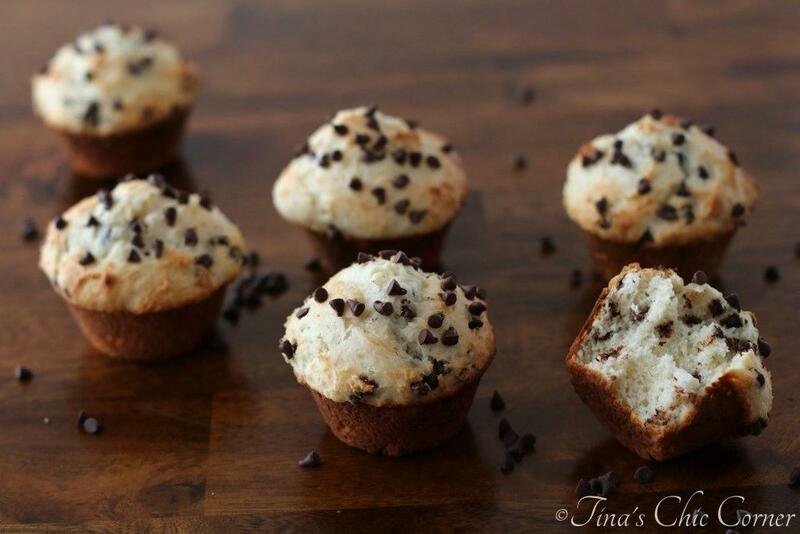 I love using yogurt in baked goods – such a great way to replace fat in recipes! 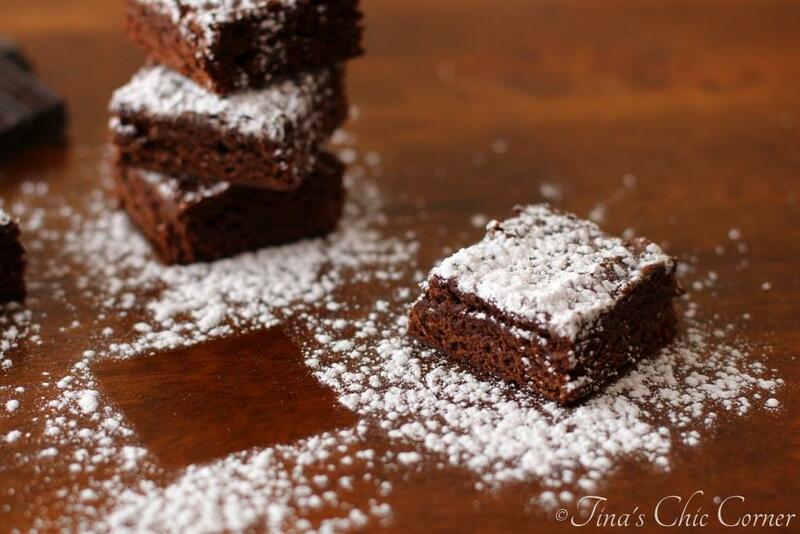 These brownies look heavenly, Tina! Thanks for that bit of history…I should know something about one of my biggest weaknesses shouldn’t I? Pinning to my brownie board! First off, Tina, I love your site and I am so glad I found it! great to have a “healthy” brownie recipe! thanks for sharing! I am a total history nerd so I SO appreciated learning about the brownie! Even though they’re not my favourite baked good (a little too chocolatey for me) I still think these look absolutely divine! I am so glad that guy invented brownies. They are just the best! I love your healthier version. Now I can enjoy them without the guilt. Really love that chart. It was really helpful! And these brownies still look super chocolately and fudgy!!! …just how I like ’em! Love learning a little brownie history! Yours look perfect!